Christmas has been and gone and now it’s time to start thinking about Valentine’s day! I always find Valentine’s day a bit tricky, everyone seems to have their own way of celebrating it. Some people go all-out on gifts and celebrations and others just write a nice card. If you’re after a nice card by the way, Paperchase had tons of great ones this year! So today I’m picking out my top 5 Valentine’s gifts for him. Rushden Lakes totally has you covered here, there’s so many different types of shops and new-in items that can make the perfect gift. If you haven’t popped into Magazine Heaven then you must — they have every type of magazine you could imagine! No matter what your partner’s hobbies and interests are there really is a magazine for him. It’s one of those presents that isn’t huge but is really thoughtful. How often do we really get to sit back with a cup of coffee and read a magazine? 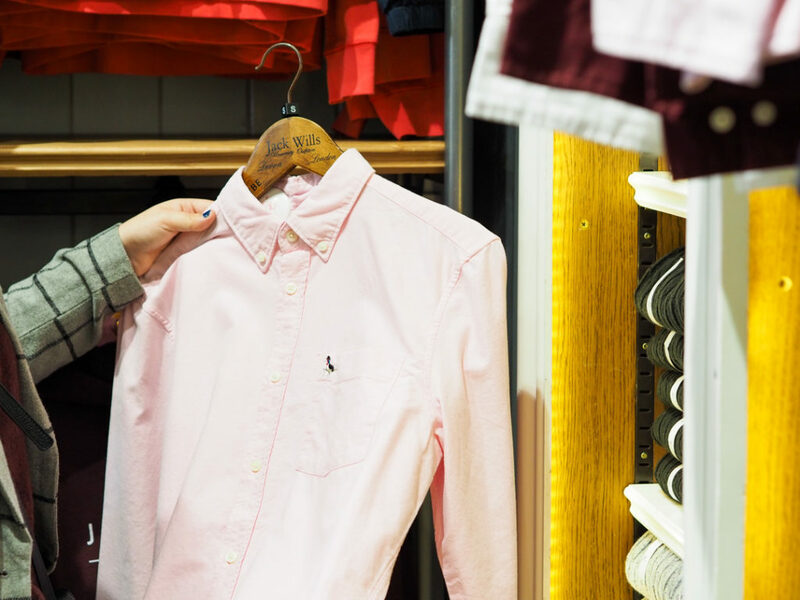 I always think you can’t go wrong with a nice shirt from Jack Wills. They have tons of nice pastel spring colours. My two favourites are the pink and green Wadsworth Slim Fit Plain Oxford Shirt! 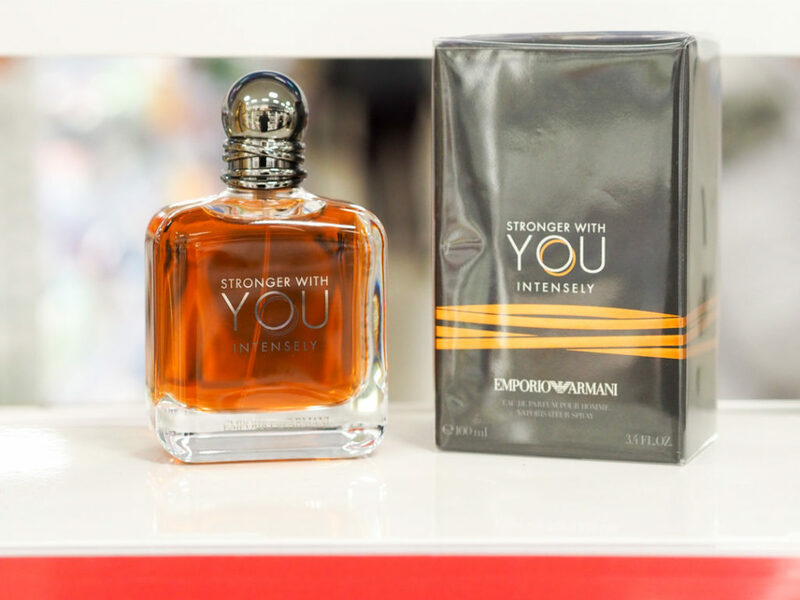 I love the smell of Stronger with You, it’s a lovely warming smell made up of notes of cardamom, pink peppercorn, and violet leaves. Boots has such a wide range of fragrances if you know there’s another scent he prefers. In this gift guide I wanted to feature items for all budgets, and this is definitely a gift for a bigger budget. 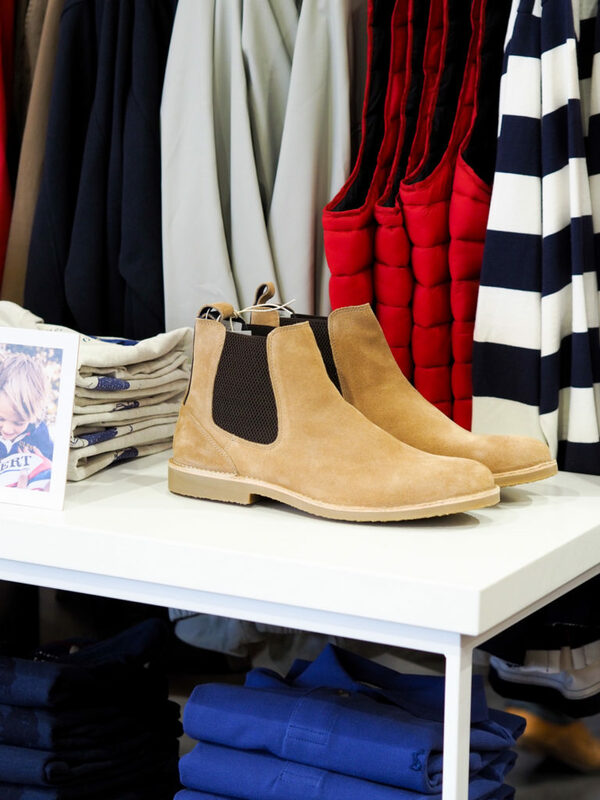 I think these Joules Chelsea boots are such a nice gift, you can dress them up for a smart casual look or dress them down for the weekend with a pair of jeans! Who knew L’Occitane did products for men!? 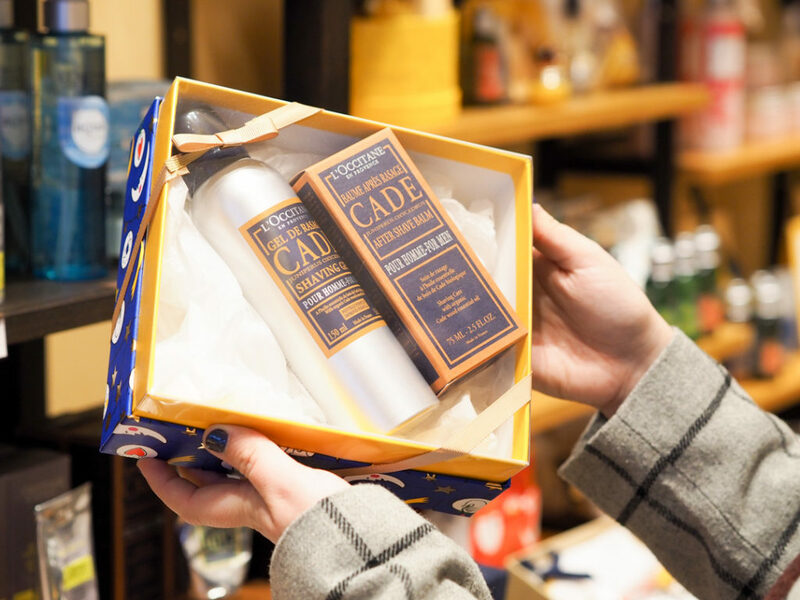 I was really impressed by the mens collection and my top pick is the CADE Shaving Gel and Balm — the perfect gift of a luxury shave! If you don’t do presents but you like to enjoy a date night together then there’s so many restaurants to choose from at Rushden Lakes. Whether it’s a nice weekend brunch at Jamaica Blue or a meal at Wagamamas, Pizza Express, Wildwood or Five Guys, whatever you’re both in the mood for this Valentine’s day, Rushden Lakes has you covered! Don’t forget to book a table! Fancy a cosy night in instead? Don’t forget to stop off at M&S after you’ve had a stroll around the centre and pick up a Valentine’s meal special offer! They do it every year and it’s always such a good deal… the bottle of wine is a nice bonus! I hope you’ve enjoyed this Valentine’s day edit and I hope you have a lovely day! Don’t forget to keep an eye out on the Rushden Lakes Instagram page for more ideas!